Adders can be distinguished from grass snakes by the V-shaped mark on their heads and the zigzag stripes along their backs. They hibernate in winter and seldom attack human beings. 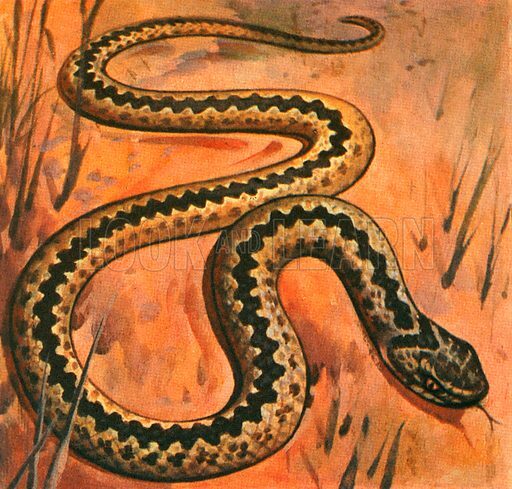 This animal is the only poisonous snake native to the United Kingdom. It lives on sandy heaths and dry moorlands and feeds on mice, voles, slugs and young birds. When fully grown, it is about two feet long. Available worldwide for immediate download up to 4,093 x 3,909 pixels.